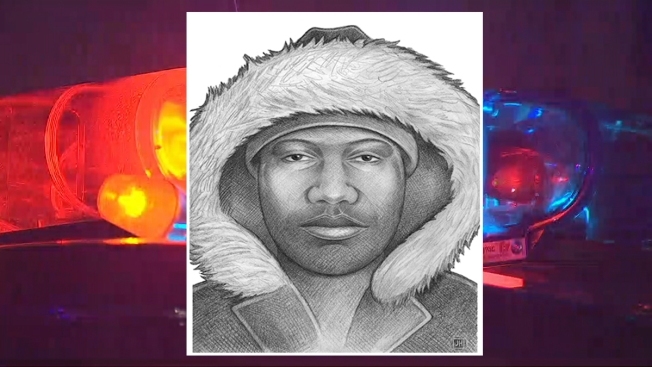 Police have released a sketch of a man they say sexually attacked and robbed a woman inside her own Brooklyn apartment building. The NYPD says a 35-year-old woman was approached by the unknown man inside the building in the area of Grattan Street and Knickerbocker Avenue in Williamsburg on New Year's Day. He asked the woman for money and then pushed her against a wall, police said. He then told the woman he had a gun, put a sharp weapon to her throat and sexually assaulted her, officials said. He then robbed her of $100 and ran off. Investigators released a sketch of the man (above) they want to find. Witnesses are urged to call Crime Stoppers with tips.